They’re not cheap, but the American-made Club Glove TSR Ballistics make golf travel easy. Nothing makes an impression at a golf resort like walking into the lobby with matching luggage. A test run with Club Glove's lines of golf bag covers and TRS Ballistic luggage showed me how heads turn and people treat you when you travel with the look of a pro golfer. I've walked into elite golf clubs including Farmlinks in Alabama, PGA National and Old Palm in Florida with my golf clubs tucked snugly in a Club Glove Last Bag (below) and the rest of my gear in two, interlocking Ballistics (above). I'll have more for you about each of those golf resorts soon enough, but for now we're focusing on how much I looked the part of a serious, well-traveled player. Of course, my actual game doesn't live up to the quality of my luggage, but that's not point. Focus on Club Glove for now. According the manufacturer, more PGA pros hit the road with Club Glove gear than any other manufacturer. Once I folded my golf bag into the Club Glove case, I knew why. 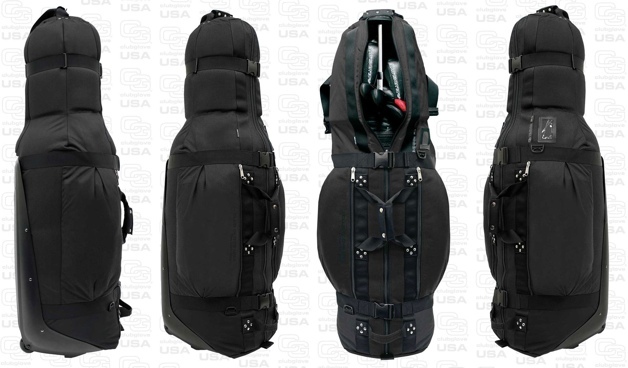 Fully protective, solidly built and well designed, the Last Bag offers enough pockets and compartments around your clubs that you could use it as your only luggage on a short golf trip. The Club Gove Last Bag can act as all-purpose luggage on short golf journeys. 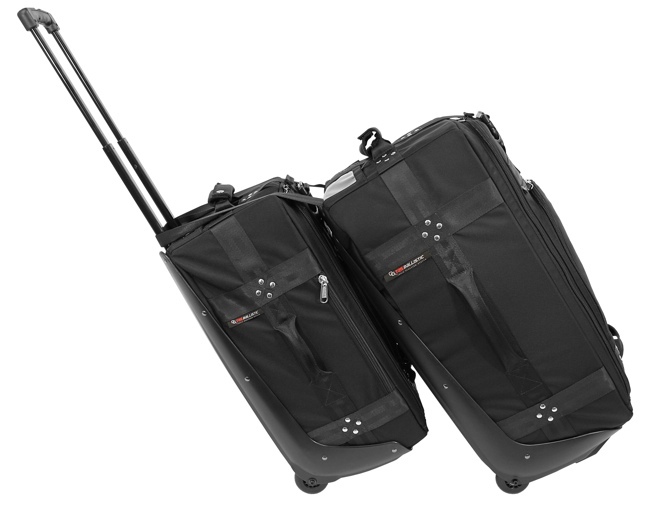 The TRS Ballistics are elite luggage options in their own right. The fact that they match up so nicely with the Last Bag is a big golfer's bonus. While a complete set of Ballistic's will set you back a couple grand, they seem worth it. They're efficiently built with plenty of travel flourishes like ample pockets and lid clips. Like the club covers, a solid plastic spine adds stability lying down or upright on wheels. Forward thinking design adds hooks allowing the bags to connect with each other — essentially turning two wheeled bags into one larger unit that's just as easy to pull. All put together, the Last Bag and TRS set makes getting in and out of an airport easier, leaving more energy for golfing upon arrival on the links.